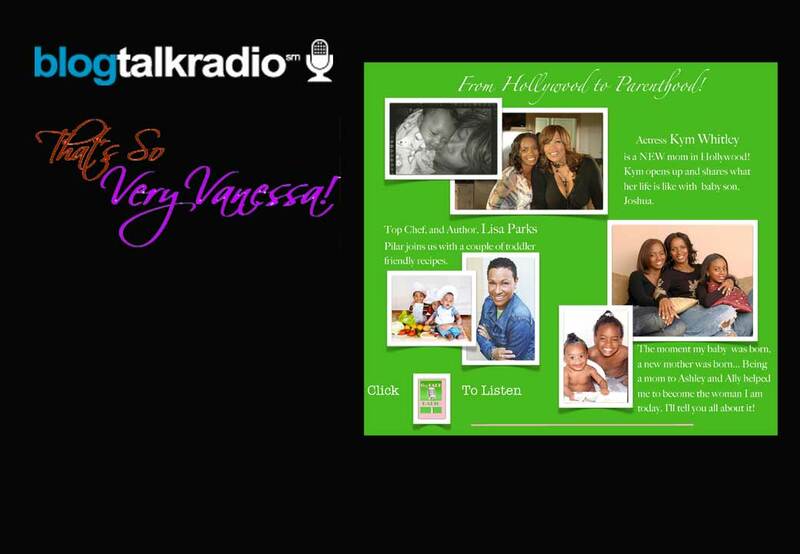 Actress Kym Whitley will be my special guest this Sunday, November 11, 2012, on my That’s So Very Vanessa! BlogTalk Radio Show! Kym is a NEW mom and we’ll be talking about going from Hollywood to parenthood. Kym opens up and shares what her life is like with baby son, Joshua. My good friend, Top Chef Lisa Parks (Pilar) will also be on the show to give us a few toddler friendly recipes. And, of course, she’ll give us another peek into her new cookbook for the grown folks. I hope you’ll tune in on Sunday at 3:00 pm PST / 6:00 pm EST. I’d also love for you to follow me right here on www.blogtalkradio.com/vanessabellcalloway.